As you know there are so many Mobile flashing box are available in the market or online, and some times it's difficult to choose which flashing box is really very useful for a Mobile technician having Mobile phone repairing shop. Most of the Mobile repair box manufacturer claims that they have the latest feature to flash and unlock Android smart phones as well as feature phones, but if you see it will not work up to that level, that means they advertising interesting features but practically these features are not available with the box, so most of the new Mobile technicians confused to take the right decision to buy a Mobile flashing box which suitable or supports latest technology of the phone, so here we are giving some best mobile flashing box which are really very useful and a new user can take right choice to buy Mobile Flashing Box. 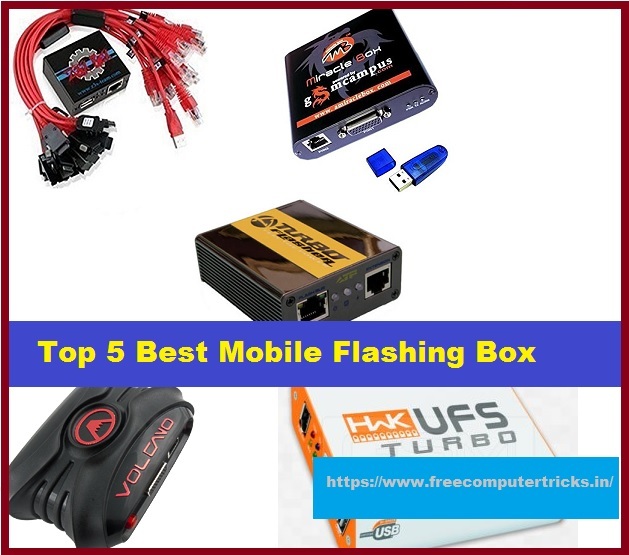 The best Mobile phone flashing box is which are come with latest feature and supports all most all latest Android smart phone and feature phones. It should have the capacity to fix the phone issues such as read flash, write flash, frp unlock, read NV data, read phone book, reading password, reading pattern lock data, IMEI repairing, formatting, reading user code, network unlock, wipe user data, unlock phone, reboot to recovery, reboot to bootloader, reboot to edl mode, Google lock unlock, reading Email ID, reset Gmail, by pass mi account, unlock bootloader, wipe cache, clear settings, enable adb mode, read user code and many more things. The ATF box (Advance Turbo Flasher) has the features to flash all model of Nokia and Microsoft and New Nokia feature phone and smart phone, you can flash and unlock the Nokia phones using this tool. This box supports to flash and unlock Nokia phones including Lumia Windows phone, BB5 phones, Nokia Android, Nokia Infineon, DCT4 and DCT3 phones. The latest version of ATF box software setup is v12.70 which includes some fix for flashing and unlocking Nokia phones [ATF Box Support Site]. * Can Remove Simlock for so called "SL3"
Z3x box is one of the best flashing and unlocking box for Samsung phones. It has Samsung Tool and Samsung 2G Tool and if you have upgrade the box you will get Samsung Tool Pro features. Samsung Tool Pro supports all most all latest smart phones including latest version of Android 7.0 Nougat and 8.0 Oreo for FRP unlocking and flashing, if you have the Z3x box you can easily download all latest version Samsung Firmware using Z3x Shell software. The latest version Z3x pro includes the following features. 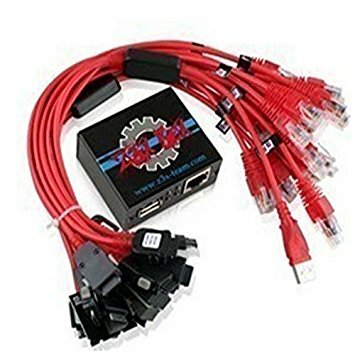 GT-I8730, GT-I8730T, GT-I9190, GT-I9192, GT-I9195, GT-I9195L, GT-I9195T, GT-I9197, GT-I9200, GT-I9205, GT-I9208, GT-I9230, GT-I9235, GT-I9295, GT-I9305, GT-I9305T, GT-I9505, GT-I9506, GT-I9508, GT-N7005, GT-N7105, GT-N8020, SC-02E, SC-O3D, SC-03E, SC-04E, SC-06D, SGH-I257, SGH-I257M, SGH-I317, SGH-I317M, SGH-I337, SGH-I337M, SGH-I437, SGH-I467, SGH-I497, SGH-I527, SGH-I527M, SGH-I537, SGH-I547C, SGH-I747, SGH-I747M, SGH-I747U, SGH-M819N, SGH-M919, SGH-M919N, SGH-M919V, SGH-T779, SGH-T889, SGH-T889V, SGH-T999, SGH-T999L, SGH-T999N, SGH-T999V, SHV-E250L, SHV-E250S, SM-C105, SM-G7102, SM-G730A, SM-G730V, SM-G730W8, SM-T217A, SM-T217T etc. without root, without wipe EFS first in the world. Addition function added name: SAFE DIRECT UNLOCK WITHOUT WIPE EFS, WITHOUT KNOX RESET, WITHOUT ROOT + added important function WRITE CERT VIA USB CABLE without root for cert based phones. SGH-I527,SGH-I527M,SGH-I537,SGH-I547C,SGH-I577,SGH-I667,SGH-I717,SGH-I717D, SGH-I717M,SGH-I717R,SGH-I727,SGH-I727R,SGH-I747,GT-S7275R,GT-S7275T, SGH-I747M,SGH-I747U,SGH-I757,SGH-I757M,SGH-I957,SGH-I957D,SGH-I957M, SGH-M919,SGH-M919N,SGH-M919V,SGH-T699,SGH-T769,SGH-T779,SM-A500FU, SGH-T879,SGH-T889,SGH-T889V,SGH-T989,SGH-T989D,SGH-T999,SGH-T999L, SGH-T999N,SGH-T999V,SHV-E250L,SHV-E250S,SM-A3000,SM-A3009,SM-A300F,SM-A300FU, SM-A300H,SM-A300M,SM-A300XU,SM-A300XZ,SM-A300YZ,SM-A5000,SM-A5009,SM-A500F, SM-A500G,SM-A500H,SM-A500M,SM-A500XZ,SM-A7000,SM-A7009,SM-A700FD,SM-A700H, SM-C105,SM-G3502C,SM-G3502I,SM-G3502L,SM-G3502T,SM-G3509I,SM-G350L,SM-G357FZ, SM-G3606,SM-G3608,SM-G3609,SM-G360BT,SM-G360F,SM-G360G,SM-G360GY, SM-G360M,SM-G360P,SM-G386W,SM-G5108,SM-G5108Q,SM-G5109,SM-G5306W,SM-G5308W,SM-G5309W, SM-G530BT,SM-G530F,SM-G530FZ,SM-G530H,SM-G530M,SM-G530Y,SM-G710,SM-G7102,SM-G7102T, SM-G7105,SM-G7105H,SM-G7105L,SM-G7106,SM-G7108,SM-G7200,SM-G730A,SM-G730V,SM-G730W8, SM-G800H,SM-G860P,SM-G9006V,SM-G9006W,SM-G9008V,SM-G9008W,SM-G9009D,SM-G9009W,SM-G900A, SM-G900AZ,SM-G900F,SM-G900FD,SM-G900FQ,SM-G900I,SM-G900K,SM-G900L,SM-G900M,SM-G900P, SM-G900R4,SM-G900S,SM-G900T,SM-G900T1,SM-G900V,,SGH-I957R,SGH-M819N, SM-G900W8,SM-G901F,SM-N9005,SM-N9006,SM-N9008,SM-N9008V,SM-N9009,SM-N900A, SM-N900P,SM-N900R4,SM-N900S,SM-N900T,SM-N900U,SM-N900V,SM-N900W8,SM-N910A, SM-N910F,SM-N910G,SM-N910P,SM-N910R4,SM-N910T,SM-N910W8,SM-T217A,SM-T217T. 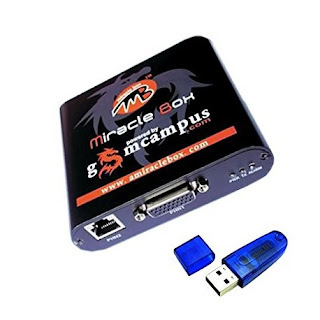 Miracle box one of the best china mobile flashing box, you can use this box to flash and unlock MediaTek MTK, Spreadtrum SPD and Qualcomm chipset phones. The latest version of Miracle Box V2.72 has the following features, to use latest Miracle Box Setup V2.72 you need Miracle Box with Dongle. 9.SPD Improve SC9832 Boot Add New Mobile Support. 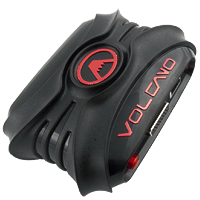 Volcano Box is also help you to flash and unlock some MTK, SPD and Qualcomm phones, this tool is helpful to flash and unlock or read password for feature phones. The latest version of Volcano Box Tool is Volcano Utility V3.1.0 you can download the latest version of Volcano Utility [Volcano Box All Updates]. 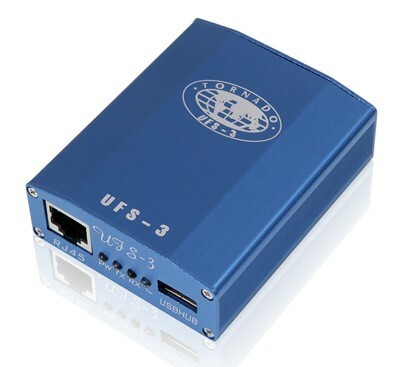 The SarasSoft UFS 3 or now updated the box to UFS Turbo can be used for flashing and unlocking of Nokia, Samsung, LG, Sony and many more phones, it also supports some of the Android smart phones. SarasSoft UFS 3 features are given below.